Q. What materials can you run? A: Our screw machining operations accommodate all stainless grades, carbon steels, brass, aluminum, Monel, bronze, Delrin and Teflon. Q. 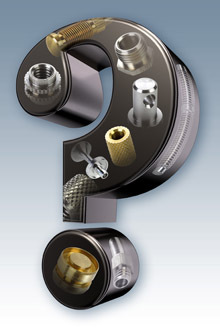 What is your maximum screw machining diameter? Q. What tolerances can you offer? tolerances of +.002 for length, +.001 for diameter. huge advantages in maximizing material usage. Q. What profiles do you offer in near net bar stock? A: STADCO profiles include hex, square, triangular, grooved, splined and other special shapes.